Stand Up Pouches > Packaging Products > Tropitek Trading Ltd.
Low minimum order only 100 bags so you can test the sizes before you buy a full case. Same day shipping on these items if ordered by 1pm Monday to Friday Buy Canadian. PKZ-19167 Ziplock Pouches Clear Front with Silver Back 4 x 6x 2" 2oz. PKZ-19169 Ziplock Pouches Clear Front with Silver Back 6 x 9 x 3" 8oz. PKZ-19170 Ziplock Pouches Clear Front with Silver Back 6 x 11 x 3" 12oz. Ziplock Pouches Clear front with Silver Back 7x11.5x4 inch 16oz. PKZ-22250 Ziplock Pouches Kraft with Rectangle Window 7 x 11.5 x 4" 16oz. PKZ-22249 Ziplock Pouches Kraft with Rectangle Window 6 x 11 x 3" 12oz. 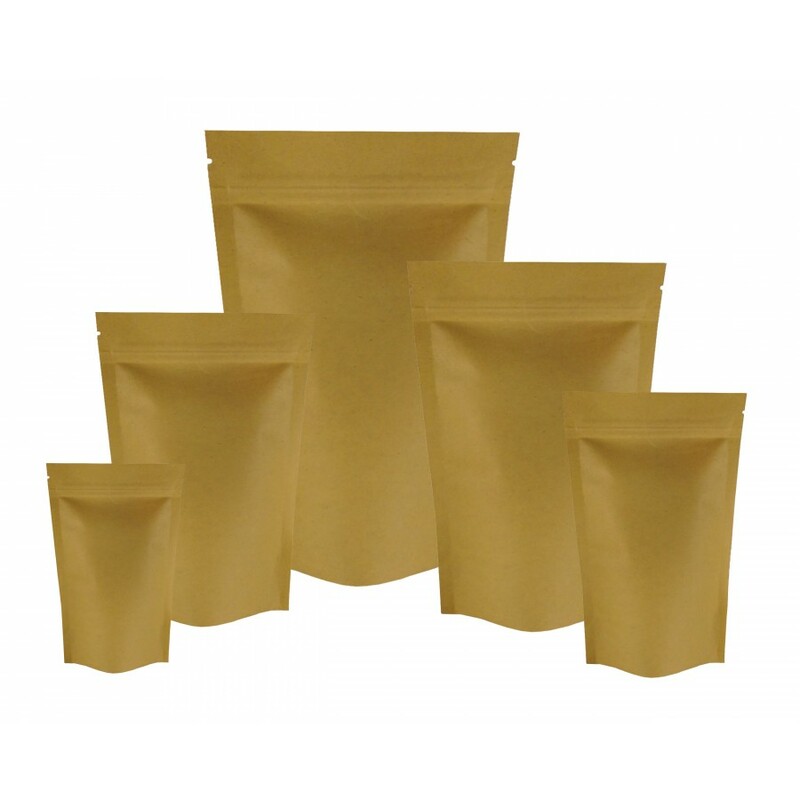 PKZ-21232 Ziplock Pouches Kraft 4 x 6 x 2" 2oz. PKZ-21233 Ziplock Pouches Kraft 5 x 8 x 2.5" 4oz. PKZ-21236 Ziplock Pouches Kraft 7 x 11.5 x 4" 16oz. PKZ-21234 Ziplock Pouches Kraft 6 x 9 x 3" 8oz. PKZ-21235 Ziplock Pouches Kraft 6 x 11 x 3" 12oz. PKZ-22247 Ziplock Pouches Kraft with Rectangle Window 5 x 8 x 2.5" 4oz. PKZ-22248 Ziplock Pouches Kraft with Rectangle Window 6 x 9 x 3" 8oz. PKZ-19173 Ziplock Pouches Clear Front with Silver Back 7 x 11.5 x 4" 16 oz. PKZ3050 Clear Ziplock Pouches 3 x 5 x 1.5"
PKZ5080 Clear Ziplock Pouches 5 x 8 x 2.5"